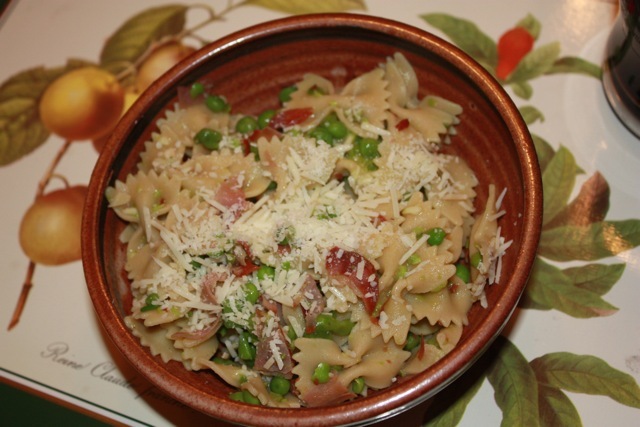 From Mark Bittman’s Food Matters Cook Book: Pasta with sm ashed peas, prosciutto and scallions. This was really good. The smashed peas made a great sauce and the proscuitto added flavor. We used whole grain pasta. It was also quick to make!